Fedora Linux not for everyone. If you’re an experienced Linux user who wants an easy-to-use desktop Linux, I recommend Mint 11. If you’re new to Linux and just want something that’s easy to pick up and use, I think you should give Ubuntu 11.04 a try. But, if you’re a Linux expert, and want to explore the outer limits of what’s possible with Linux, then Red Hat’s new Fedora 15 Linux is the distribution for you. Why? Well, here are my five favorite reasons to use Fedora 15. I’m going to start though with one reason I don’t care for this release of Fedora. Let’s call this one: Feature 0. GNOME 3 claims to be the “the next generation of GNOME with a brand new user interface. It provides a completely new and modern desktop that has been designed for today’s users and technologies.” It’s not. First, did we really need a “completely new desktop?” I don’t think so. I quite liked GNOME the 2.x series. It worked well for me and I didn’t need to learn anything new to use it. I get the point of Ubuntu’s Unity, which is a radically different shell that rides on top of GNOME. Unity is meant for Windows and Mac users who’ve never used Linux It’s also clearly designed to eventually become a tablet interface. When I look at GNOME though what I see is change just for the sake of change not change for greater end-user usability. The idea of GNOME 3 was to get rid of clutter OK, I can see that, but in doing it GNOME’s designers had made GNOME less usable For example, in shifting from one project to another in your workspace you need to use the dashboard as a window management interface For me, this is like having to stop my car to shift gears That by itself is so annoying that I quickly stopped using GNOME 3.0. It also doesn’t help any that GNOME 3 won’t run on basic graphics hardware. You need just the right mix of graphics and graphic drivers to get it to work. On my systems, I was only able to get one to work by using the Radeon driver for an older ATI graphics card. In short, GNOME 3.0 is new but for users it’s a step backward. 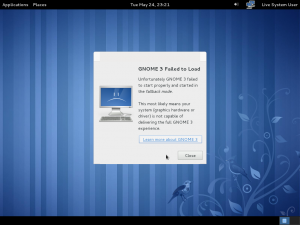 Fedora 15 is the first major distribution to include GNOME 3 by default. That was a mistake. Like Fedora 4 in its first not ready for prime time versions, GNOME 3 is not what most users want from a desktop. As for me, I’m sticking with GNOME 2.32, with occasional visits to KDE 4.6. Now that I’ve got that out of my system, here’s what I like about Fedora 15. Desktop Linux has never done a great job of laptop battery management. Fortunately, Linux doesn’t drink up that much power so it usually ends up with decent battery life anyway. 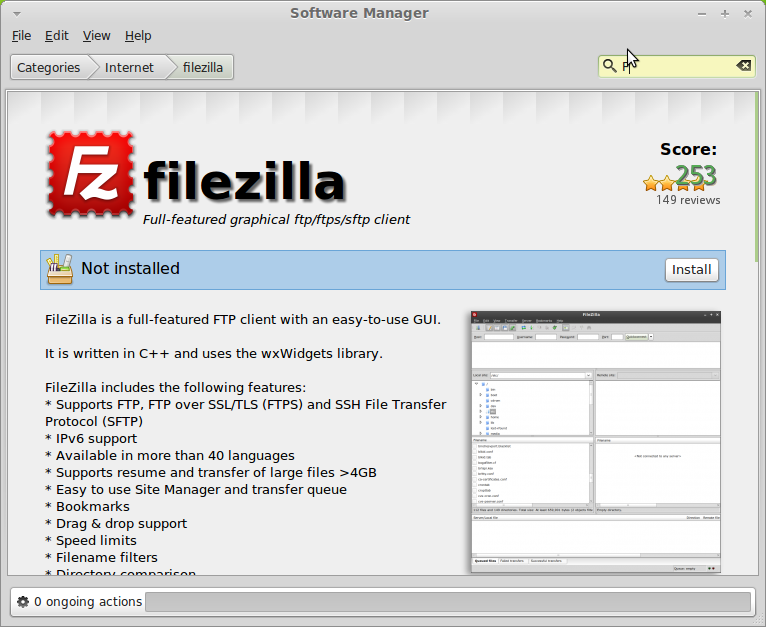 But, Fedora 15 redesigned power management utilities give it better battery life than other Linuxes. I checked this by running Intec Battery Mark 1.1 on Windows XP in a VirtualBox virtual machine on my Lenovo ThinkPad R61 with its 2.2GHz Intel Core 2 Duo processor T7500 and 2GBs of RAM. With Mint 11, my six-cell battery lasted an hour and fifty-seven minutes. That’s pretty darn good for a three-year old battery. Like most up-to-the-minute Linux distributions, Fedora uses LibreOffice in place of OpenOffice, as its office suite. LibreOffice, while an OpenOffice fork is better thought of as an improved version of OpenOffice. It looks the same, works the same, but it’s also faster, has many minor bug fixes and has far better Microsoft Office file format compatibility. Last, but not least, since Oracle will no longer be putting any resources into OpenOffice, LibreOffice is the most significant open-source office suite yet that’s still being actively developed. OK, this is a beta feature so you have to manually install it and only network administrators are likely to find it that exciting, but I–who sometimes still wears his network administrator hat–think that it has great potential. RPM 4.9.0, Fedora and RHEL’s software manager has been given a real tune-up. It’s now easier than ever to install software on Fedora .For more on that see the RPM 4.9.0 release notes. The bottom line is that RPM does a much better job of handling any RPM package that you try to install on your system. There are many other neat features as well such as security improvements in handling common Security Enhanced Linux (SELinux) problems with an easy to use GUI and improved encrypted home directory support. And then there’s the BoxGringer image and virtual machine (VM) creator, and, at long, long last, a built-in consistent and sane network device naming system. Now if they would only do something with GNOME 3! Or, better still, the GNOME 3 designers brought back some of its more end-user friendly bits and bites I’d be perfectly happy with Fedora. I like Ubuntu’s Unity interface, but I wouldn’t use it all the time, and I know many of you don’t like it at all. Like me, you like getting your hands dirty with the operating system and Unity is meant for new Linux users. 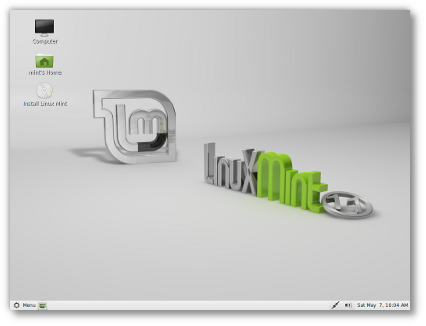 That’s why for day-in, day-out use I’m now using the Ubuntu Linux-based Mint 11. Instead of Unity, Mint 11, which is now at the release candidate stage, uses the old Linux Mint desktop layout, mintMenu system, and the same desktop elements featured in previous releases. It also doesn’t use GNOME 3.0. That’s fine by me since I don’t care for GNOME 3 at all, but my reasons for that are a story for another day. Today, I want to tell you why I think Mint 11 is a great desktop Linux for experienced Linux users. How well did it work? Well, after a week on it, I also installed the Mint 11 release candidate on my main work laptop. This is a Lenovo ThinkPad R61 with its 2.2GHz Intel Core 2 Duo processor T7500 and 2GBs of RAM. In other words, it not only worked well, it had already proved trustworthy enough that I’d switched to using it on a production machine. I was willing to make this shift so fast for several reasons. First, Mint 11 is fast. Before this, I was running Ubuntu 11.04, openSUSE 11.4, and Mint 10 on these machines, or in the case of the PC, its twin brother. I don’t know what special sauce the Mint team added to Mint 11, all I know is that it’s faster and more responsive than the other Linux distributions I’ve recently used on these machines. As for Windows 7 SP1, please, these machines are barely adequate for today’s version of Windows. With the GNOME 2.32 interface, Mint looks as good as ever. This desktop, unlike Unity, also makes it easy for me to tinker with the operating system to get it working just the way I want. GNOME 2.32 has some GNOME 3.0 features though that I didn’t like. For example, some GNOME compatible applications have, instead of a permanently displayed right-hand slider for moving up and down a page, they have a slider that only appears when your mouse hovers over a windows right-side interface. I find this more annoying than useful. There have also been some desktop application changes. One, which I really approve of, is the switch to LibreOffice in place of OpenOffice for the office suite. Again, the new model office suite was faster than OpenOffice. In addition, LibreOffice does much better with Microsoft Office document compatibility. Most, if not all, of the Linux desktop distributions are switching to LibreOffice. It’s a smart move. I also like the use of Banshee, which has long been one of my favorite media-players over Rhythmbox. I’m neutral about Mint switching out gThumb for F-Spot as the default photo application. Since this is Linux, if you don’t like the default applications, you can always replace it. Like the Ubuntu Software Manager it’s based on Mint’s Software Manager makes it mindlessly simple to add new programs. This program does have one default I don’t care for though. When you install a new program, it doesn’t give you a message letting you know when the installation is complete. Instead it simply gives you a momentary 100% installed on the bottom “ongoing action” bar and the application installation page still shows the program as not being installed. You’ll only see that the program has indeed been installed after you refresh the page. Takeaway: Linux distributions come in all shapes and sizes, and they’re aimed at addressing every conceivable need. Jack Wallen introduces a few you may not have heard of that might be worth a look. Linux has more flavors than (Mountain Dew + Gatorade)*Baskin Robbins. Of course, some of those distributions are far more valuable than others. But besides the Ubuntus, Fedoras, Linux Mints, PCLinuxOSes, and OpenSuSEs, which versions are actually worth your time? Believe it or not, worthy Linux distributions are not limited to the big guns. There are plenty of obscure distributions worth looking at. Here are a few lesser-known Linux distributions that could have a positive effect on your life in one way or another. Damn Vulnerable Linux is exactly what it sounds like. According to the Web site, “Damn Vulnerable Linux (DVL) is everything a good Linux distribution isn’t. Its developers have spent hours stuffing it with broken, ill-configured, outdated, and exploitable software that makes it vulnerable to attacks.” What value would such a distribution hold? Training. The idea behind this distribution is to train Linux admins. And what better way to train someone than to hand them a broken distribution to fix? With older/broken versions of Apache, MySQL, PHP, FTP, and SSH, your admins in training will have their hands full. CAINE Linux might be one of the niftiest of the niche Linux distributions. CAINE stands for Computer Aided INvestigative Environment. Basically, it’s CIS Linux designed for digital forensics. CAINE includes TheSleuthKit, Autopsy Forensic Browser, stenography tools, and plenty of tools for wiping hard drives. This distribution also includes a semi-automated tool for the compilation of the final report on a digital forensics investigation. Zeroshell is an interesting Linux distribution aimed at embedded systems — specifically, networking hardware. It’s administrated through a Web interface and can provide all networking services required for a LAN. With Zeroshell, you can set up Failover, RADIUS, Captive Portal, Quality of Service management, HTTP Proxy, Wireless Access Point, Host-to-LAN VPN, LAN-to-LAN VPN, Routing with Static or Dynamic IP Addressing, and much more. Parted Magic is similar to the Gparted Live CD, only it adds a few more tools (such as Clonezille, TestDisk, Partimage, Trucrypt, G4L, SuperGrubDisk, and ddrescue). This type of tool is ideal for managing partitions as well as troubleshooting drives and various issues. This particular Linux distribution works on x86 hardware and requires 256MB of RAM to operate in. Parted Magic can work with the following partition types: ext2, ext3, ext4, fat16, fat32, hfs, hfs+, jfs, linux-swap, ntfs, reiserfs, reiser4, and xfs. Tiny Core is exactly what the name implies. It’s a tiny Linux distribution, coming in at under 10 MB (with a GUI included). But don’t think Tiny Core is limited to tiny tasks. Once it’s installed, you can begin adding the applications you need. But by default, you will have a minimal X desktop with networking. Tiny Core is based on Tiny X, Busybox, Fltk, and the 2.6 kernel. CAELinux focuses on computer aided engineering. It’s based on open source titles like Salome, Code_Aster, and OpenFOAM. CAELinux is an Ubuntu-based distribution that can simulate physics involving nonlinear thermo-mechanics, coupled fluid-structure dynamics, seismic/nonlinear explicit dynamics, contacts, visco-plasticity, fluid dynamics, heat exchange, convection heat transfer and radiation, and electro dynamics. This distribution offers a wiki with plenty of documentation for each application. Musix is a Knoppix-Debian distribution aimed at artistic and educational uses in the field of music. It’s a live CD, so it can be run without installation. The two applications that draw the most attention on this distribution are Rosegarden and Ardour. Between these two applications, you will have everything you need for music composition and recording. You will also find tools like Inkscape, Blender for 3D animation, and Cinelerra for video editing. SLAMPP is a slackware-based Live distribution that is truly a one-stop-shop for system server needs. With this distribution running, you are ready with HTTP, FTP, DHCP, DNS, and many more servers. And this can all be achieved without even installing the distribution! That’s right. 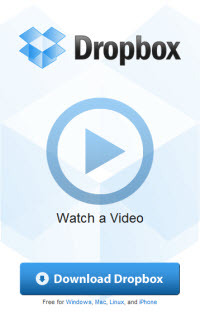 By using a live DVD, you can have all of those servers up and running in no time. SLAMPP is the “instant home server” distribution. Ubuntu Christian Edition is, as its name implies, an Ubuntu-based Linux distribution geared toward the Christian faith. This distribution includes a plethora of faith-based software (such as Xiphos, OpenSong, and E-Sword, along with tools for parental controls. From its name, you might think Ubuntu Satanic Edition is a converse distribution to Ubuntu Christian Edition. It’s not. According to the Web site, USE “brings together the best free software and free metal music on one CD.” The “Undead CD” is based on Ubuntu 10.04 and includes all the standard software, along with a mélange of typically dark, heavy metal-esque themes, as well as a full 50-minute album of the best Creative Commons-licensed metal music. What else does USE offer that standard Ubuntu doesn’t? Nothing more than some serious attitude that will ensure your fellow workers know who rocks harder! If you know Linux, you know there are thousands of distributions out there. The list goes on, and it continues to grow every day. Have you come across an obscure Linux distribution that offers either much-needed functionality or something cool to see or try? If so, share with your fellow TechRepublic members. While a good chunk of the tech world was watching the release of Windows 7 recently, there was another release of an operating system that rivaled that of Windows 7; if not for sheer volume then for sheer expectations and excitement. And that was the unveiling of Ubuntu 9.10. Code named Karmic Koala in Ubuntu's famously alliterative style, this release of the popular Linux distribution focuses heavily on usability. Also beefed up is its hardware support, especially support for wifi cards, network cards, and Intel graphics cards. But Karmic Koala also packs some very interesting, and very useful enhancements at the user level. While it's fairly easy to install software in Ubuntu using a tool called Synaptic Package Manager, you need to do a lot of hunting to try to find what you want to install. The Ubuntu Software Center makes doing that a lot easier, especially for newcomers to the world of Ubuntu. To open the Software Center, click Applications > Ubuntu Software Center. You can find close to 2,200 different pieces of software to install in 12 categories: Accessories, Education, Games, Graphics, Internet, Office, Science, Sound & Video, System Tools, Universal Access, Programming, and Other. All you need to do is double click one of the categories and then double click an application in the list. You get a brief description of the application and a button labeled Install. When you click Install, you're asked for the root password (required to install software in Linux), and then the Software Center installs the package and any other software on which the application depends. A previous TechTip briefly looked at Ubuntu One, the online storage service from Canonical (the folks behind Ubuntu). Version 9.10 of the distribution comes with tighter integration with Ubuntu One. The desktop client is now a standard piece of software on the Ubuntu desktop. You can start it by selecting Applications > Internet > Ubuntu One. All you need to use it is an account with the Web-based Ubuntu One service. It works the same way as older versions of the client, although seems to run more smoothly now. On top of that, if you're using Tomboy (a note taking application) or Evolution (a mail client) then you can sync your notes and contacts. At the heart of Ubuntu 9.10 runs version 2.6.31 of the Linux kernel. This is the latest version of the kernel, and offers more generic viagra online security, better startup and shutdown (more on that in a moment), better performance from graphics cards, and improved security. While most of these changes are behind the scenes, they do make for a smoother experience. The main Ubuntu distribution uses the GNOME desktop as its graphical user interface. Ubuntu 9.10 includes version 2.28 of the desktop. There have been a few cosmetic changes to the desktop, as well as changes under the hood. The interface is cleaner and many of the system icons are a lot more compact – in fact, they're almost Mac like. All of the default software that comes with the GNOME desktop has been updated as well. Again, there are some new features (like full-screen editing in the default text editor) and some minor tweaks to the look and feel of the applications. Speaking of look and feel, the desktop notifications are smaller and more compact; they don't get in the way in the same way they did in Ubuntu 9.04. Overall, the GNOME desktop is more stable. There's even enhanced support for Bluetooth keyboards, headsets, and and mice. Most Linux distributions start slower than Windows or Mac OS. That's mainly because Linux loads a bunch of drivers and libraries at startup; Windows and Mac OS load them as needed or after startup. Ubuntu's developers have done quite a bit of work to pare down the amount of time it takes for your system to start up. And it shows. On my laptop computer, about 15 seconds has been shaved off the boot time. Your mileage may vary. But it's not only the amount of time required to start up that's been decreased. I, and other Ubuntu users I know, have noticed that our lap and desktop computers shut down much faster. I can't give you an exact number (mainly because I usually walk away from my computer when I shut it down), but I've noticed that it does power down within 10 seconds. Your home directory (for example, /home/scott) is your own personal space in the Linux file system. That's where you store your files and whatnot. If you're installing Ubuntu 9.10 and not just upgrading, you can encrypt your home directory (and the home directories of any users you add during installation). This is done by slapping something called eCryptfs (a secure file system) on top of the home directory. This feature was available with a couple of previous versions of Ubuntu. However, to use it you needed to do the deed after an installation was complete. And from the command line, too. You can now apply eCryptfs with a graphical interface during installation. A Linux Live CD to the Rescue! Computer hard drives. They're an essential component of your computing experience. While they're not as fragile as they were even 10 years ago, they're often one of the weak links in the chain of hardware that makes up a desktop computer or a laptop computer. When something goes wrong with a hard drive, you can be in a lot of trouble. Especially if you haven't backed up your data recently. If you need that data – whether it's office documents, photos, videos, or all of the above – right now it can cost you. Professional data recovery can cost anywhere from a few hundred to a few thousand dollars. And there's no guarantee of success. But before going that route, you might be able to do the job yourself if you're willing to get your hands dirty. How? All you need is a blank CD, a USB flash drive, and some Linux Live CD software. As discussed in a previous TechTip, Linux Live CDs are a great way to take Linux for a spin without installing it on your computer. But there are other Live CDs that perform special jobs. What kinds of jobs? How about trying to fix a computer that's not playing nicely. A few months ago, my wife's laptop (which ran Windows XP) wouldn't start properly. It would power up, then display a screen which informed her that the last shutdown wasn't completed properly. There were several boot options presented. But no matter which one my wife chose, Windows would try to start then the laptop would suddenly reboot. With the same message as before. Nothing my wife or I tried worked. Instead of doing something drastic, like trying to reinstall Windows or Linux, or reformatting the hard drive, I tried starting the computer in safe mode, without the option to reboot automatically on an error. When I did this, the boot up stalled when XP was trying to load a driver called mup.sys. I did some research, and learned that mup.sys can get corrupted or infected with a virus. As it turned out, there was more to the problem than that. I got the feeling that I might be able to salvage the hard drive. If nothing else, I figured I could get the most important files off that laptop. To do that, I decided to turn to a Linux Live CD for help. In this case, the Live CD was actually a rescue CD. I looked at several, and on the recommendation of a couple of techie pals, I got my hands on one called SystemRescueCD. SystemRescueCD comes with a number of utilities for analyzing and diagnosing problems with a hard drive or system memory, and for recovering from failures and errors. While SystemRescueCD comes with a very lightweight graphical user interface, most of the utilities are run from the command line. If you need help with running the utilities, even if you are an experienced Linux user, then you should take the time to browse the documentation for SystemRescueCD. I downloaded an ISO image, which is literally a snapshot of the contents of a disk – in this case, a stripped-down Linux operating system and a bunch of utilities. When you have an ISO image, you need to burn it to a blank CD as a disk image. In Windows, you can use a nifty freeware application called ISO Recorder. Just about every CD burning application for Linux allows you to burn an ISO image. On Mac OS X, just select Applications > Utilities > Disk Utility, then choose Images > Burn. Once I had the CD ready, I popped it into CD-ROM drive of my wife's laptop, and restarted it. Luckily, her laptop was set to boot from the CD-ROM drive. If this doesn't work for you, change this in your computer's BIOS settings. Depending on your computer, you do this by pressing F2 or ESC or DEL when the computer firsts starts up. The first thing I did once the Live CD loaded was try to mount the Windows partition on the hard drive from the command line. In Linux terms, mounting merely means getting access to a file system or drive. This tells the command to access an NTFS file system (the default used by Windows) via the device /dev/sda2 (which is how the Live CD detected the hard drive), and to let me access the drive using the directory /mnt/windows. This allowed me to get access to the flash drive via the directory /mnt/usb1. I ran the command cd /mnt/windows to change to the Windows drive, and then navigated my way to the folder where my wife kept her files. Using the Linux copy command (cp), I then transferred the files over to the flash drive. That took a while; there were about 3GB of files there. A pair of funny things happened when copying the files. First, some files refused copy over. Second, many of the files had long names. When they were copied over to the flash drive, the names got truncated and the a good chunk of those names were replaced with a tilde (~). While I managed to salvage most of my wife's files, I wanted to see if I could also save the hard drive. SystemRescueCD comes with a powerful utility that can help determine this called testdisk. Testdisk can do diagnostics on and recover hard disks. It has a text-based interface. You don't have to type commands, but instead selection option by tabbing, using the up and down arrow keys, and pressing Enter. It's like many DOS programs of yore. I ran the first check by selecting the Analyse option. For some reason the program stalled. After killing testdisk, I looked at the log file that it produced. In the log file was an error message stating that there was a problem with the number of disk sectors. That's not a good sign. Disk sectors store large lumps of data. If they're damaged, a hard drive is usually toast. Next, I ran a check on the physical cylinders of the hard drive by selecting the Deeper Search option. Testdisk got through about 97% of the deeper search, and it stalled too. That indicated that there was a physical problem with the hard drive and that there was no way I was going to save it. A Linux Live CD, especially one like SystemRescueCD, can be a good way of recovering your files if your computer starts acting up. A tool like SystemRescueCD is a bit geeky, and can be a tad difficult to use if you have no experience with backup software.